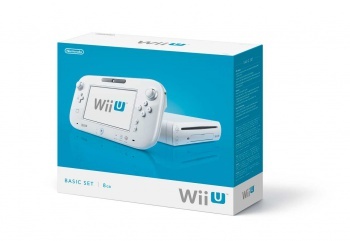 By now you know that there are two versions of the Wii U available in stores: An 8GB basic unit for $299 and a premium set for $349 which includes added goodies like a charging cradle for the gamepad, a 32GB storage drive, and the Nintendo Land game. But if the extra $50 was a deal-breaker for you, and all you really want to play is Nintendo Land, Best Buy has a discount that is made just for you; The fine folks at SideQuesting discovered that the retailer is offering the 8GB basic Wii U bundled with Nintendo Land for the same $299 as the basic set costs on its own. Of course, the system itself will still have just a measly 8GB of storage, so while the prospect of a free game might be quite appealing, be sure to consider all the details before pulling the trigger. The deal will only be available until December 29, so you better move fast if you're hoping to snag one.